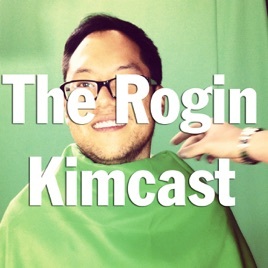 Join comedian and filmmaker Rogin Kim as he discusses comedy, film, history, and current events, sometimes with special guests, other times by himself, which he's been told by his aunt is just as special. Everyone and their mother has a podcast today. I’m glad this one did not waste my time. Is this a comedy video ? It's like trying to eat a Korean Taco for the first time and loving every morsel of it. You get the savory marinated chunks of Korean meat balanced with a slightly toasted tortilla keeping the meat warm. Imagine eating that, thats what I felt when listening to The Rogin Kimcast. Not sure what you'll get but in the end loving every minute of it and looking forward to more next time.